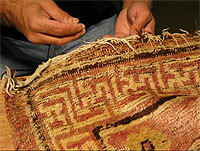 Persian rug cleaning services for West Hollywood are provided by Antique Rug Company. We serve West Hollywood and surrounding areas including zip codes 90046, 90048, 90069. We offer pick-up and delivery for West Hollywood and surrounding areas.